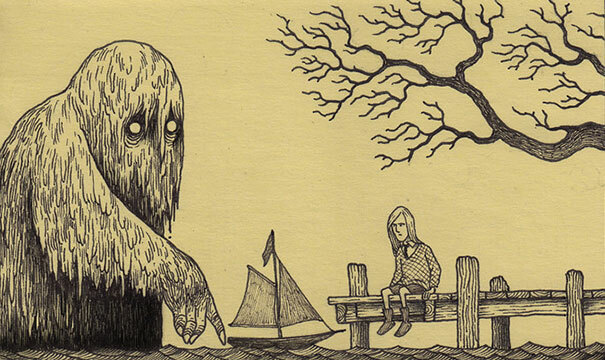 John Kenn Mortensen's monsters intrigue the hell out of me, especially this watery one because he seems as though all he wants to do is play (and could that be little Draco sitting there? perhaps with his imaginary friend? No, if that's Draco, he looks annoyed at the thought of having to share his toy. :P). Some of those monsters are actually quite cute and I love the nut-hugging bear cookies. Very imaginative.